This era spans the discovery of stone tools to the rise and fall of prehistoric cities and the beginning of the clan system. It ends with the first Europeans landing on our shores. 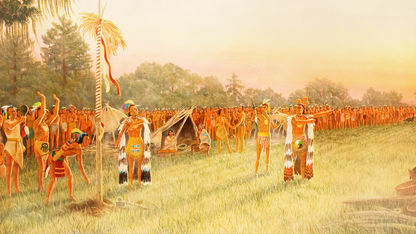 Discover the Chickasaws' ancient past. Before the tribes of Chickasaw and Choctaw were two different tribes, they were one entity under the rule of two brothers.